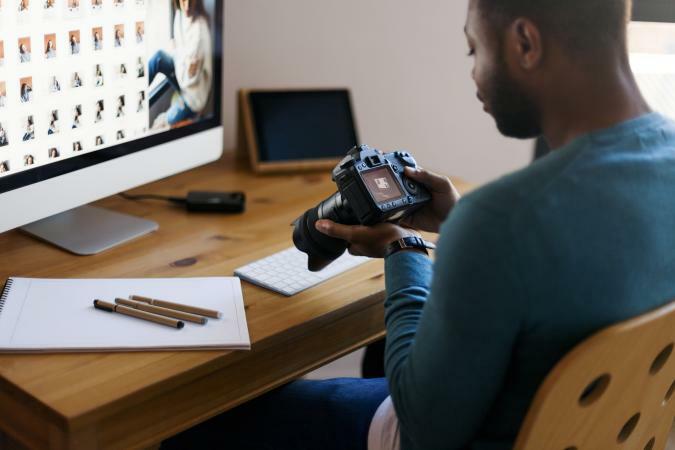 Whether you are a seasoned vet or budding amateur, getting into the stock photography game can be a great way to make a living or just earn a little cash. Finding the best stock photography sites for contributors can be a bit of a challenge, but there are a few out there that offer high payouts and exposure. It's just a point of finding the right fit for you. 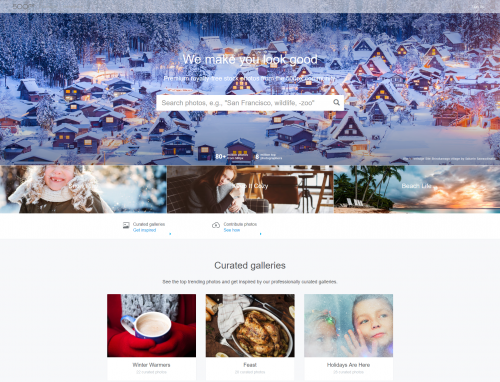 Listed in the number one spot by Contrastly in their article 10 Popular Stock Photography Sites to Submit Your Images to, Shutterstock is a consistently top ranked site based on their financial gains for photographers. While the royalty pay is lower, starting at about 25 percent, this payment point is based on tiers. The more in demand your image, the more you could earn. Likewise, Stock Photo Advisor notes the amount of daily downloads can make this worth your time. The images that you submit must be of professional quality (minimum size of 4.0 MP) as determined by a review team. They are reviewed based on five criteria, including technical execution, metadata, intellectual property, releases, and policy. When first submitting to Shutterstock, you will be required to submit 10 images, one of which must be approved. Review times can take from 72 hours to 7 business days depending on the number of submissions. Listed among the 12 Most Profitable Places to Sell Your Photos by the MUO website, Alamy offers a 50/50 split for contributors. This stock photo site allows you to send both videos and photographs and doesn't demand exclusivity. While Alamy is located in the UK, they also have offices in the US and Canada, as well as others, and they sell their more than 110 million images, videos, and vectors around the globe. Signing up for an account is free, and you need to have a minimum image of 6 MP. The minimum payout is $50. Additionally, Alamy notes that to add images, they simply check to ensure the images meet their technical criteria, which means no blemishes, camera shake, color fringing, color casts, or artifacts. 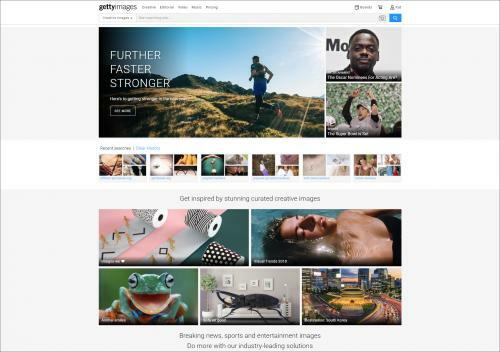 Noted among top stock sites by Contrastly, Getty offers a wide audience and reputation of quality. Not only does Getty offer the opportunity to sell your work to millions of customers, but they are noted by PetaPixel to be more artistically inclined. This company also allows you to communicate with the team about your submissions. However, be aware that Getty requires exclusivity in the contract. 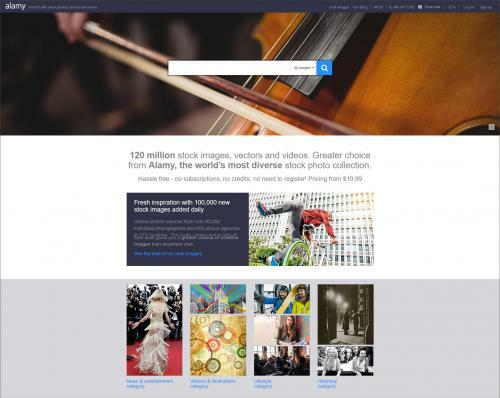 If you choose to submit to Getty, your images can appear on both Getty or iStock, since they bought iStock in 2006. Depending on the editor, you will either have your work on Getty or iStock and sometimes both. Additionally, Getty pays anywhere from 15 to 40 percent, depending on your status. This might not seem like a lot if you only get $82 for a $550 image, but the more you sell, the more you earn. To get your images on Getty, you need to submit an application. Once your application is accepted, you will complete the enrollment. The images you submit must be a JPEG format no larger than 3GB. 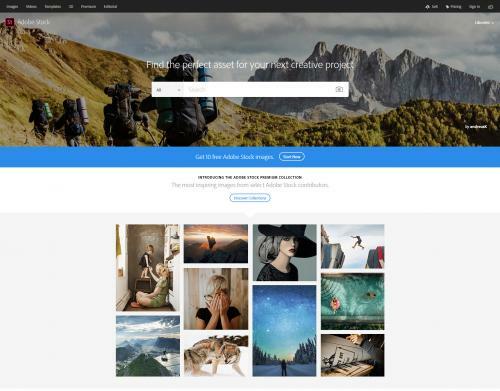 Adobe is known for great web design software like Photoshop and Illustrator, but Adobe's foray into stock photography started in 2015 after it acquired Fotolia. 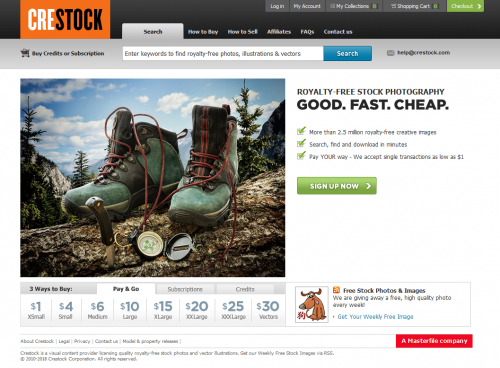 In its short time, Adobe Stock has made it among Best Sites for Selling Stock Photos by Improve Photography. While the commission isn't fabulous, it is about average at 33 percent, and the features for getting your content on to the site are pretty easy to use. Uploading is a breeze after you create an account. If you are already an Adobe user, you can simply upload your images from Lightroom or Bridge. 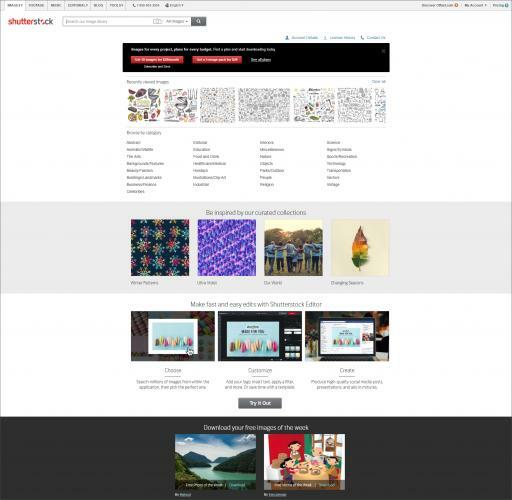 You are allowed to retain the rights to your content and will be featured on both Fotolia and Adobe Stock. To submit images, you need to have it in JPEG, and photos should be at least 4 MP. Additionally, no watermarks or time stamps are allowed. Adobe also notes the image must be lit and exposed correctly, void of noise, and well-composed. If you are looking to make a lucrative business out of your photography, Dreamstime might be what you are looking for. Found on Steve's Digicam's list of The 3 Best Sites to Sell Stock Photographs, this stock photography catalog offers five levels of payment that range from 25 to 60 percent. Payment is made once you reach $100. Before, you can bring in the cash, you need to register, which requires you to enter your email, password, and create an account. Work must be original and high quality JPEG in RGB. While the images must be 3MP or greater, you also need to have all models sign a release. Dreamstime also states content must be appropriate without nudes, drugs, or racism. 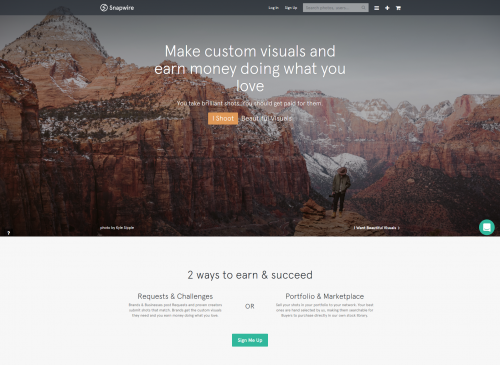 Featured in the number one spot on the article The Top 8 Websites to Sell Your Stock Images is Snapwire. Not only does it feature over 300,000 photographers, but this site offers the unique ability to submit requested photos. Snapwire also offers an impressive earning potential with 70 percent for request images and 50 percent for stock photography. In order to earn those impressive royalties, you need to create an account. You can choose to use your Facebook or email to sign up for an account. When creating your account, you also submit your specialty areas for finding requests. These can include things from abstract to youth culture, and you aren't limited on how many you can choose. Uploads aren't limited, but high quality images are a must. Another site worth checking out for selling your unique style of photos is Crestock. Launched in 2005, Crestock was listed by the Shaw Academy among 10 Places to Sell Stock Photography. Payment can range from 20 to 40 percent, and this is based on the number of times your image is downloaded. Those that are found through a subscription are worth $0.25. Payments are made through PayPal and Skrill. As is standard, Crestock allows you to create a free account and upload your images. Getting your images online simply takes a few clicks by uploading and agreeing to the Artist Image Upload Agreement. Crestock doesn't have any restrictions for artists uploading images, but a Model and Property release may be required. The site also notes the image specs need to be high caliber, including a minimum size of 6.3 MP. Once you submit an image, it will be reviewed, and either accepted onto the site or rejected. Rounding out the list is 500px Prime. Last but certainly not least with a mention in the Sell Stock Photos & Make Money: 7 Sites That Pay You +$50 per Picture by MoneyPantry, 500px Prime offers two collections: the prime and core collections. The core collection can be taken from a smartphone in addition to by a digital camera. You also have the option of having an exclusive or non-exclusive license. This stock site features three levels of membership and pays up to 60 percent on net sales. Contributing to 500px Prime is as easy as 1, 2, 3. One: you create a free account or sign up for a membership and join the community. Two: start uploading your images. These must be high resolution, clean images; however, depending on where you are uploading, low resolution might be acceptable. Three: submit your images to the editor for approval. Then, you are ready to start earning cash on your photos. Whether you do photography as a hobby or are a professional photographer, there are several great sites out there that offer you the opportunity to upload your images on their stock photography sites. These sites are as diverse as the photographers that submit to them, but there are a few that rank among the best. From large compensation to a large market, these stock sites offer you plenty of different opportunities and royalties, but all require high quality images that meet specific specifications. Now find the site or two that works for you and start uploading.